The sardines are often accompanied by bigger fish, like mackerels and tuna, who hunt them. With a bit of luck even a thresher shark might show up to hunt the sardines, a spectacle to behold. 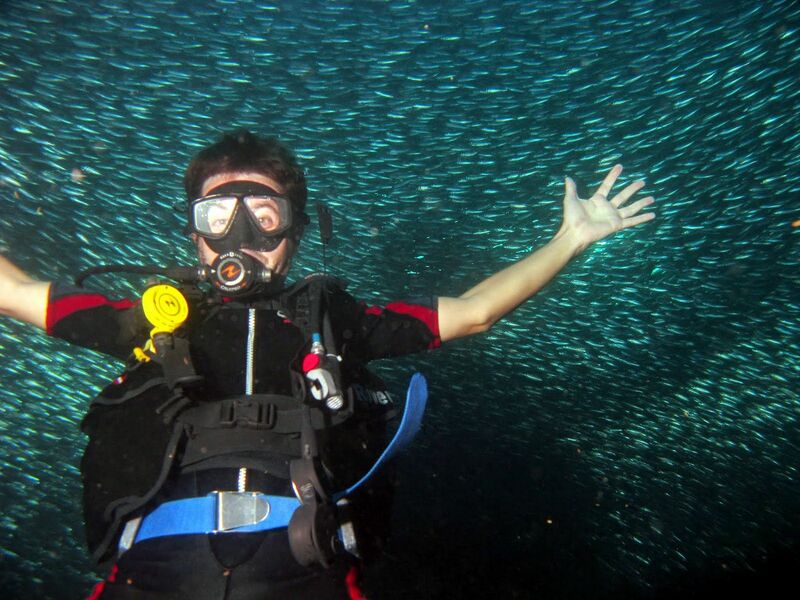 Diving with the sardines is a breathtaking experience and accessible to everybody who can dive. 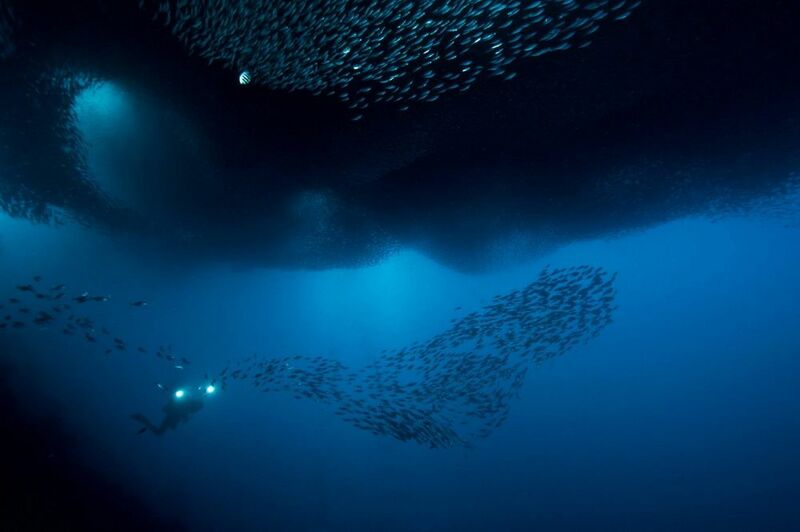 The sardines stay just in front of our dive center and can be observed on nearly every shore dive. They are pretty much stationary but sometimes move a couple of hundred meters along the coast, being so close to the surface they are easy to spot. 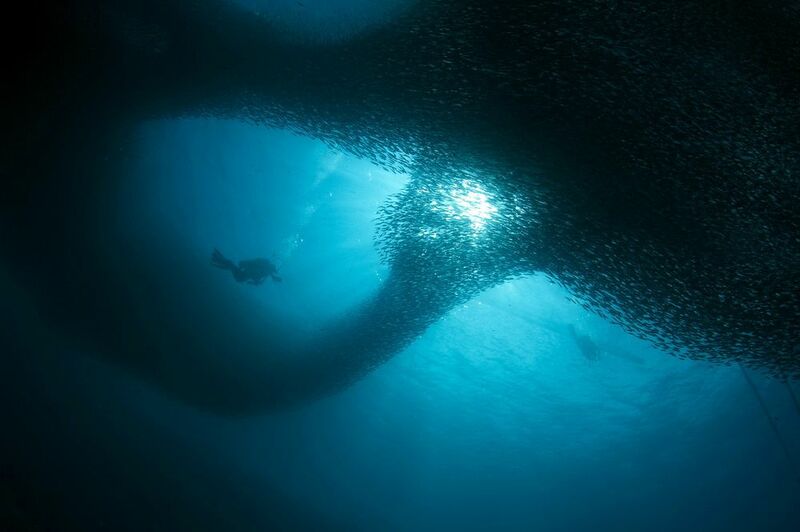 The sardine ball spreads out from 2 to about 15m, constantly changing its shape. Sometimes they all merge together and seem to swallow you, there are above and beneath you, surround you from all sides, blocking the light. An incredible feeling. 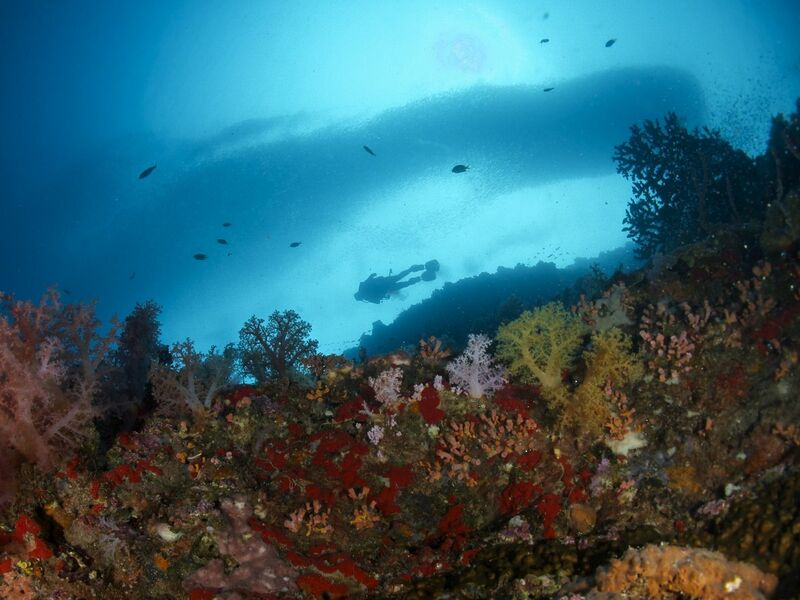 Some divers can even lose orientation, so stay close to your guide. Sardines are small epipelagic fish that sometimes migrate along the coast in large schools. They are an important forage fish for larger forms of marine life, according to Wikipedia. 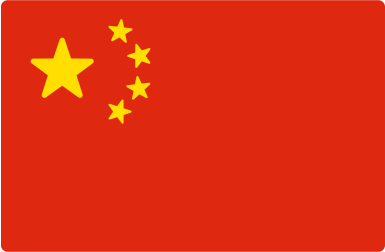 Despite the numbers seen in the schools, stocks globally are dropping, mainly due to overfishing. The population isn’t replacing itself quickly enough, according to NOAA. Stationary sardine balls like the one in Moalboal are usually quickly fished out by local fishermen once the location is known. 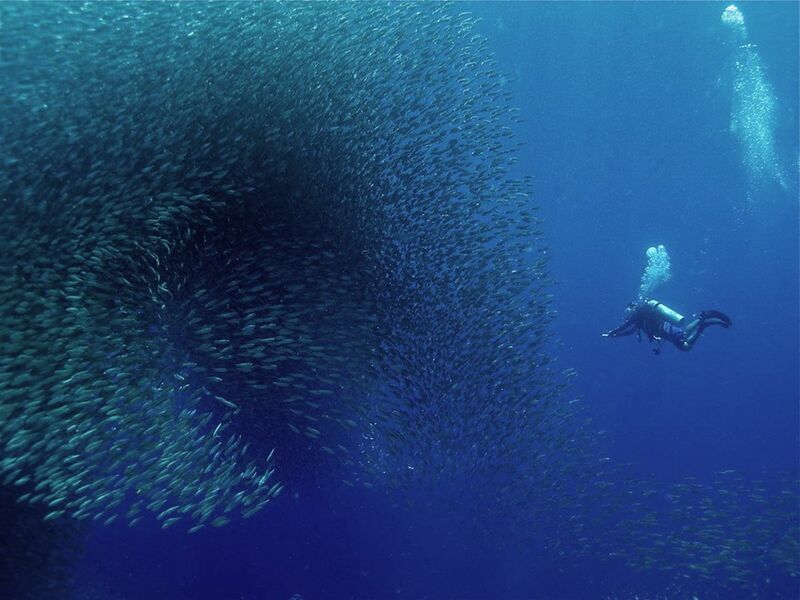 In Moalboal, the local government managed in cooperation with the fishermen association, the tourist board and the dive centers, to protect the sardine ball for the benefit of everybody. 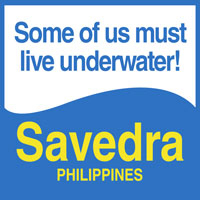 For instance, fishing is allowed, but only with hook and line, so the fishermen get the bigger fish out while the main school remains and continuous to draw divers and tourist to Moalboal. A win-win situation for everybody.